He eventually finds himself in Washington DC where it all "went down" during the Nixon ERROR. He discovers that our very own US government, ONE MAN in particular, SCAMMED the American people with lies and deceit causing the death of untold millions. He leaves no stone unturned in this heart-felt fact-finding mission that is chock full of shocking findings that are sure to open up a virtual BLIZZARD of long overdue debate. Dr. Rutledge and his team take an in-depth look into a disease that has killed more people than any other: Malaria. Collecting testimonies from African, Indian and US Governments, charitable organizations, scientists, politicians, doctors, clinics, victims and survivors, the film exposes the politics behind domestic and international policies leading to the much-publicized 1972 ban of DDT (Dichloro-Diphenyl-Trichloroethane), believed at the time to be one of the most 'dirty' chemicals ever created by man. Despite DDT's effectiveness in eradicating malaria from the US, its ban was considered a hallmark victory by the early Environmental Movement. As a member of the American Council on Science and Health (ASCH) I receive their Daily Dispatch, which covers all the latest scares promulgated by the greenies back to naturists, and Luddites who believe that modern innovations and everything produced by man is evil, including vaccinations. There were two issues that particularly struck me today, and one of them was titled, “Science Prevails in Courts, But Maybe Not Blogs”. This supported the decision made by Special Master Denise Vowell who ruled that all the evidence presented by the anti-vaccine crowd is “weak, contradictory and unpersuasive. Sadly, the petitioners in this litigation have been the victims of bad science conducted to support litigation rather than to advance medical and scientific understanding [of autism]." No one should have any delusions as to what can happen when society abandons that which has saved untold numbers. Let’s not make any mistake about this; society cannot escape the consequences of their choices. Everything we are told should bear some resemblance to what we see going on in reality. Let’s at least have a clear perspective on the subject based on history and events. Measles is a highly contagious disease, so contagious that 100 years ago we used to quarantine homes where a family member was stricken with it in this country. Because of complacency and lack of funding in some African countries, vaccination rates dropped dramatically, and as anyone should expect, they are experiencing “the worst outbreaks of measles in years” - afflicting “thousands and killing hundreds across Africa,” and it became so prevalent that some mothers wouldn’t name their children until they survived a bout with measles. “About 164,000 people died from measles in 2008, down 78 percent from 733,000 in 2000, according to the Measles Initiative, which includes groups like the United Nations Children's Fund (UNICEF) and the World Health Organisation.” However, UNICEF officials "fear the combined effect of decreased political and financial commitment to measles could reverse the gains, resulting in an estimated 1.7 million measles-related deaths globally between 2010 and 2013." Who is accountable for these unnecessary illnesses and deaths? Better yet, why is no one accountable? We have a clear vision of the reality of a world without vaccinations. The facts are easily seen, easily found, and easy to understand. Vaccinations save lives in the third world, why would we think that it would be any different here? Why do we listen to these people? This week CBS interviewed and filmed Lonnie Alonso and his son Brian of Columbus Pest Control in Columbus, Ohio while doing a bed bug job in some poor suffering woman’s home; a home that looked perfectly clean and well cared for. That is the thing with bed bugs. They don’t discriminate in any way. They will infest anyone’s home and they don’t care how dirty or clean your home is and they don’t care how rich or poor you are. You are food to them. There is a rub though; those with the financial wherewithal can afford to get rid of them. It is the people at the bottom of the economic structure that are suffering the most because they are left largely defenseless. They are also spreading them everywhere they go, and those who can afford it will find that they are being re-infested, along with the Empire State Building, Victoria’s Secret, Abercrombie and Fitch and a host of other businesses, including hotels…and that was just in New York City. Alonso explained how Ohio (which the producer noted that no state has been as aggressive at fighting this problem as Ohio has) had requested an emergency 18 exemption for propoxur, a carbamate pesticide. Propoxur was the choice because it works and there was a label already in existence. That becomes important later in the article. It is an admittedly short term solution because it is clear that they are already developing resistance to carbamates such as Ficam in other parts of the world. We used Ficam (which killed bed bugs on contact and as a residual by the way) successfully and safely for many years in this country, but the manufacturer pulled their registration. So why would they do such a thing? Well, first of all this happened before bed bugs exploded in this country and the manufacturer wasn’t selling enough to justify meeting the EPA’s demands. You see, the EPA requires pesticides to be reregistered after fifteen years. That means more unnecessary and expensive testing. It costs around $300,000,000 to bring a new pesticide to market. Manufacturers want to make sure that re-registration is worth it to them before they spend millions of dollars more on re-testing. Further testing for what you might ask? Who knows, because after a product has been on the open market for fifteen years you absolutely know what, if any, hazards it represents to humanity or to nature. Most importantly after fifteen years these products have probably gone out of patent. That means there is less value to the primary registrant, and in this case, there was no value incentive for the manufacturer to spend millions of dollars more to retest. This is just another way the EPA has found to eliminate pesticides without banning them, which can be a messy process; a process in which they would probably lose. When you ban something you have to show reasons for the ban. You have to have facts, figures and….most importantly….real science. If there is none; then the product stays. They have avoided all of that through their system of rules, and in point of fact these rules make it a de facto ban without any messy legal stuff. Dow Chemical was the primary registrant of Dursban, but this product represented a small part of their overall sales so they decided to let the product go. Besides, it was out of patent and others were producing it. There was little value in fighting this battle. They made a business decision; a bad business decision in my mind, but these corporations are run by bean counters, not visionaries. It is interesting to hear scientists at EPA making claims about data that would have taken this product off the market anyway. Baloney! If they had tried that they would have lost. In days gone by each pesticide had an evaluation that determined the risk of that product. FQPA changed that. All of a sudden it was decided that the risk attached to individual pesticides would not be enough. They created a “risk cup”, lumping all the pesticides in a chemical category together. Needless to say that risk cup filled up fast. They also didn’t give the manufactures enough time to develop the data they demanded. They told the manufacturers that if they didn’t get the data in the time designated time frame, then EPA would use “risk assumptions”. 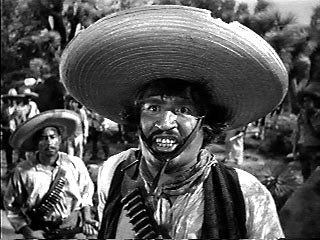 What did Alfonso Bedoya say in the Treasure of the Sierra Madre? "Badges? We ain't got no badges. We don't need no badges. I don't have to show you any stinking badges!" Well….EPA don’t need no stinking science. Propoxur falls under this new FQPA regulated level of toxicity. We used Baygon (propoxur) for over twenty years in this nation and it was available to the general public as well. What terrible things happened? According to the Ohio Department of Agriculture; nothing terrible happened in Ohio! But when you change the rules arbitrarily you change the toxicity issues. To arbitrarily change the safety factor from one hundred to a thousand fold safety factor may not make much sense, but it makes it easy for EPA to claim that it is too toxic to use. Let’s take a look at Lame’s rationale. He states “that the majority of control failures regarding bed bugs are a result of human error, poor cooperation with exterminators but more, poor technique by the exterminators." That is contemptible and misdirection! The discussion involves effective chemistry. While all of these factors may be true to some degree, these factors are meaningless if we have chemistry that works. He then goes on to say “that bed bug control is making unqualified and unethical exterminators rich”. What is making exterminators “rich” is the fact that people like Lame promote every fallacious claim there is against pesticides, including one of his favorite ones, endocrine disruption. We would be more than happy to go back to normal treatments that are inexpensive, less labor intensive and more effective. He derides exterminators for charging a lot of money and then promotes nonsense that is labor intensive and expensive. Then when the failure rate is high he claims we are corrupt. I know he makes a distinction between “qualified” operators versus “unqualified” operators, but the image the public will take away from that statement is that we are all incompetent and corrupt. That is contemptible! Let me make this absolutely crystal clear…….these so-called “rich” exterminators aren’t the problem, they are the solution! However, it is my personal opinion that the real problem lies with self promoting Ph.D. EPA grant chasers! There was a bed bug Integrated Pest Management (IPM) study done by researchers from Purdue University in 2009 using Diatomaceous Earth, hand removal, bed bug interceptors, diatomaceous earth dust, mattress encasements and hot steam, which they called (D-IPM). They also used something they called (S-IPM) using 0.5% chlorfenapyr (Phantom) which also included hand removal, mattress encasements, hot steam, but no bed bug interceptors. In short, after weeks of treatments and inspections these extremely competent researchers failed to rid bed bugs from fifty percent of the apartments they treated. Were these people “unqualified” and “unethical”? It might be worth noting this statement from the researchers; “effective residual insecticides are needed for bed bug elimination”, and this is from people wanting to seriously reduce the use of pesticides. Marc derides the idea that Americans want a “quick fix” and exterminators for also wanting an “easy fix”. Has he lost his mind? Of course that is what everyone wants, why wouldn’t they? I have had friends tell me that they went into people’s homes and the children were bitten so badly that if they didn’t know what the problem was they would have called Children's Services. Explain to those people why they shouldn’t want a quick fix! Explain to me why they shouldn’t have one! As for his comments about the “myth” of the “silver bullet”, the “pesticide treadmill” and “dependence on chemical pesticides to eradicate bed bugs is folly”. Why wouldn’t everyone want a “silver bullet”? When he discusses Dr. Miller I assume he is talking about Dini Miller, who he cites regarding comments about resistance developing to propoxur. Did someone think that we didn't already know that! This nonsense argument about hastening resistance is the biggest red herring of them all. Resistance is the pattern in nature. Plants have an arsenal of pesticides they naturally produce to ward off attack by insects, and they need them, because insects develop resistance to what they are using to defend themselves. When that happens they produce other chemicals insects aren't resistant to. The problem isn't that resistance will develop; the problem is that unlike plants we have decision makers who create regulations that prevent use of chemistry that works. They also make decisions that make the production of new pesticides unprofitable. I might add this is the reason new antibiotics aren’t making it to the market either, and people like Marc are enablers of this kind of thinking based on junk science. If this is truly Dini Miller’s position I certainly hope that she will re-evaluate it! Let's stop these insane arguments about resistance. I keep coming back to this argument. If bed bugs were transmitting some sort of deadly disease we wouldn't even be having this conversation. We would get Dursban tomorrow and bed bugs would be gone by the end of the week. The problem is that propoxur is all we can ask for. We would love to have Dursban or any one of the organophosphates, but that wasn’t an option….we settled for what we could possibly get and what is desperately needed. WE KNOW this is only a stop gap measure. As for his comment that a “chemical tool can be a useful part of the management strategy but historically has failed as a stand-alone method”. Marc should be ashamed of himself. That is blatantly false. The answer in 1946 was effective, inexpensive chemistry that was available to everyone! And before we lost so many tools to FQPA we did it with chemistry alone. Let’s not kid ourselves. 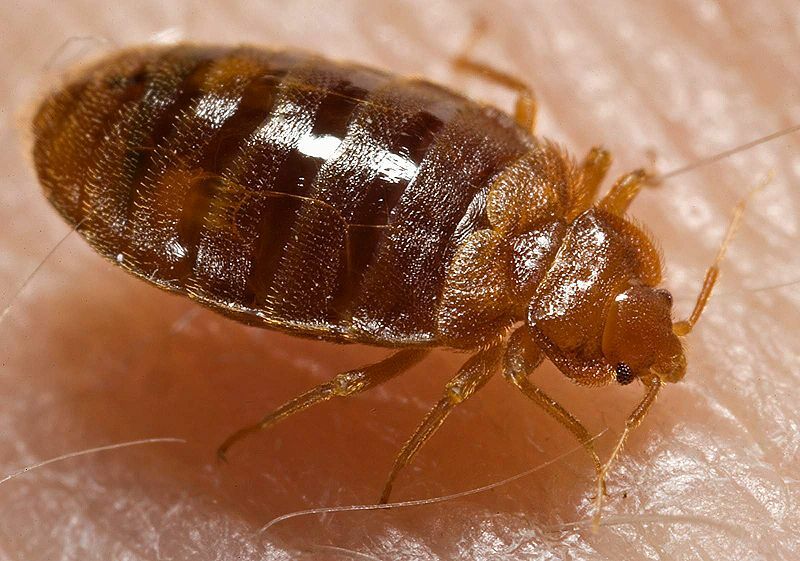 Bed bugs have been brought in this country for decades by international travelers. In the mid 1980’s I did my first bed bug job. Some people from mainland China was visiting a factory to see how they operated and when they left they left their bed bugs in their hotel room. I treated the room with Ficam one time…..one time mind you ….. and the bed bugs were gone. Let’s get this right……if effective, inexpensive chemistry that is available to everyone isn’t the answer in 2010 there will be no answer. Let me say that again….. if effective, inexpensive chemistry that is available to everyone isn’t the answer in 2010 there will be no answer. The reality is that these techniques and “reasonably effective chemical pesticides” are not working for the vast majority of people in this nation. If it was otherwise, we wouldn’t be asking for propoxur and this problem wouldn’t be expanding to the point of being a plague on the nation. And apparently it didn’t work for him at the Monroe County Community School Corporation, where they wanted to “put out traps to see what happens”. But there was to be no chemical treatments. Why? Their solution was to send out letters and use bed bug traps because as Lame says, “Bed bugs most often strike at night where people sleep or sit for long periods of time.” He goes on to say, "The kids are not sleeping here," Dr. Lame said. "Nobody sleeps here overnight. The bedding is not here. It's just not a nest for a nest parasite." Excuse me….but didn’t we just find out that they were moving from coat to coat. That is despicable! We absolutely know that bed bugs will live in any area they can, under carpeting, cracks and crevices, behind pictures, etc. These self promoters propound so-called methodologies that are in reality philosophies. Philosophies that are based on the same kind of junk science Rachel Carson and the rest of the greenies spew out. When you spew out such ideologies you don’t need no stinking science. The answer to bed bugs in 1946 was effective, inexpensive chemistry that was available to everyone. That was the answer in 1946 and if that isn't the answer in 2010 there will be no answer! The Monsanto Company is learning a valuable lesson in Haiti : no good deed goes unpunished at the hands of radical anti-corporate elements of Western society. Like so many other concerned citizens, Monsanto responded to the tragic January 12 earthquake that further devastated this impoverished country. It worked for months with Haiti ’s Agricultural Ministry to select seeds best suited to local climates, needs and practices, and to handle the donation so as to support, rather than undermine, the country’s agricultural and economic infrastructure. From Monsanto’s extensive inventory, they jointly chose conventionally bred hybrid (not biotech / genetically modified / GM) varieties of field corn and seven vegetables: cabbage, carrots, eggplants, onions, tomatoes, spinach and melons. Instead of giving the seeds to farmers, the company worked with the USAID-funded WINNER program, to donate the seeds to stores owned and managed by Haitian farmer associations. The 475 tons of hybrid seeds will then be sold to many thousands of farmers at steep discounts, and all revenues will be reinvested in local agriculture. Other companies and donors are providing fertilizers, insecticide and herbicides that will likewise be sold at a discount. The companies, Agricultural Ministry, farmers associations and other experts will also provide technical advice and assistance – much as the USDA’s Cooperative Extension System does – on how, when and whether to use the various hybrids, fertilizers, and weed and insect-control chemicals. The goal is simple. Help get the country and its farmers back on their feet, improve farming practices, crop yields and nutrition levels, and increase incomes and living standards. The reaction of anti-corporate activists was instantaneous, intense, perverse, patronizing and hypocritical. Monsanto wants to turn Haiti back into “a slave colony,” ranted Organic Consumers Association founder Ronnie Cummins. Hybrid and GM seeds will destroy our diversity, small-farmer agriculture and “what is left of our environment,” raged Chavannes Jean-Baptiste, leader of the Peasant Movement of Papaye. Various U.S. churches and foundations chimed in. “Spontaneous” protests were organized in several Haitian and American cities. At one, hundreds of marchers wore identical shirts and hats, which even at a combined value of just $5 represented two weeks’ income for average Haitian farmers: 40 cents a day. One wonders how many would have shown up without these inducements. Indeed, this abysmal income underscores the terrible reality of life in this island nation, even before the earthquake, and the perversity of this campaign against “corporate control of the food system.” Instead of “seed sovereignty” or “social justice,” the activists are ensuring eco-imperialism and poverty sovereignty. Forty years ago, Haiti was largely self-sufficient in food production and actually exported coffee, sugar and mangoes. Today, the country imports 80% of its rice and 97% of the 31 million eggs it consumes monthly. Two-thirds of Haiti ’s people are farmers (roughly equivalent to the United States just after the Civil War), but their crop yields are among the lowest in the Western Hemisphere . Few of Haiti ’s rural families have running water or electricity, and women spend hours a day cooking over open fires. Many contract serious lung diseases as a result, and life expectancy is twelve years lower than for people on the Dominican Republic side of the island. Google satellite images reveal a lush green eastern DR two-thirds of Hispaniola – in stark contrast to the deforested, rutted, brown, impoverished Haitian side, from which enormous quantities of soil are washed into the ocean every year. Roads are so rutted that Peace Corps workers report traveling four hours by truck to go 60 miles. Many rural people cannot afford to feed their children, leaving hundreds of kids in poor highland areas literally starving to death. Hybrid seeds can help Haitians climb out of this morass. Though no silver bullet, they are one of the cheapest, easiest and best investments a farmer can make. By simply planting different seeds and adding fertilizer, farmers can dramatically increase crop yields. A similar Monsanto donation of hybrid maize (corn) seeds and fertilizer to Malawi farmers in 2006 generated a 500% increase in yields and helped feed a million people for a year. In the United States , organic and conventional farmers alike plant numerous hybrids. They cost more than traditional, open-pollinated seeds, but the payoff in yield, revenue, and uniformity of size, quality and ripening time makes the investment decision easy. Between 1933 and 2000, U.S. corn yields likewise expanded fivefold – thanks to hybrids, fertilizer, irrigation and innovative crop management practices – and today, hybrid or GM hybrid crops are planted on virtually every American field. Some of the Haitian corn donation will be used to improve chicken farming and egg production. Most will likely be used in staples like sauce pois – corn mush topped with black or red beans cooked with coconut milk, hot peppers, onions, garlic and oil. The thickness of the bean sauce reflects a family’s income, and “wealthy” families often accompany the sauce with rice, instead of corn mush. The veggie seeds will add variety to family diets, and provide a source of income via sales at local markets. The hybrids will also help Haiti adopt truly sustainable farming practices: higher germination rates and crop yields, greater revenues and better nutrition for more people, at lower cost, from less land, using less water and fewer pesticides, requiring less time in fields, and enabling more farmers to specialize in other trades and send their children to school. In short, greater opportunity and prosperity for millions. And yet, activists continue to spew forth invective, preposterous claims and disinformation – primarily through the Huffington Post and several other irresponsible websites. Hybrid seeds don’t regenerate, they assert; wrong – they do and can be replanted, though they will not pass all their best traits down to subsequent generations, which is a primary reason farmers typically buy new seeds. The seeds are poisonous, they fume; false – the seeds are treated with fungicides that are used safely all over the USA , Western Europe and Latin America , to keep seeds from being destroyed by fungus before they germinate. Monsanto will not force farmers to plant hybrid seeds – or say they can’t replant what they collect from previous harvests. Indeed, hybrids were widely just 30 years ago by Haitian farmers, who know what they are looking for in a crop, how to assess what they have planted and harvested, and whether they want to invest in specific seeds. They should be allowed to make their own decisions – just as others should be permitted to plant whatever traditional, heirloom or open-pollinated seeds they wish. “We reject Monsanto seeds,” say anti-hybrid activists. They might, and that’s fine. But thousands of other Haitian farmers want to plant Monsanto seeds. Their right to choose must also be respected – not denied by intolerant protesters, who are largely funded and guided by well-fed First World campaigners. After years of vicious assaults by agro and eco purists, Monsanto’s corporate skin is probably thick enough to survive these lies and often highly personal attacks. Other companies, however, might lack the fortitude to provide their expertise and technology after future disasters, in the face of such attacks. That is almost certainly an objective for many of these anti-technology, anti-corporate groups. Monsanto has no maize financial interests in Haiti and only a tiny vegetable operation, and I have no financial interest in Monsanto. But for the world’s most destitute people, it would be a tragedy of epic proportions. “Don’t let the bedbugs bite” is no longer a fashionable good-night wish for Big Apple kids, even in the city’s high-rent districts and posh hotels. Growing infestations of the ravenous bloodsuckers have New Yorkers annoyed, anguished, angry about officialdom’s inadequate responses, and “itching” for answers. Instead, their Bedbug Advisory Board recommends a bedbug team and educational website. Residents, it advises, should monitor and report infestations. Use blowdryers to flush out (maybe 5% of) the bugs, then sweep them into a plastic bag and dispose properly. Throw away (thousands of dollars worth of) infested clothing, bedding, carpeting and furniture. Hire (expensive) professionals who (may) have insecticides that (may) eradicate the pests – and hope you don’t get scammed. Don’t use “risky” pesticides yourself. Follow guideline for donating potentially infested furnishings, and be wary of bedbug risks from donated furniture and mattresses. New Yorkers want real solutions, including affordable insecticides that work. Fear and loathing, from decades of chemophobic indoctrination, are slowly giving way to a healthy renewed recognition that the risk of not using chemicals can be greater than the risk of using them (carefully). Eco-myths are being replaced with more informed discussions about alleged effects of DDT and other pesticides on humans and wildlife. Thankfully, bedbugs have not been linked to disease – except sometimes severe emotional distress associated with obstinate infestations, incessant itching, and pathetic “proactive” advice, rules and “solutions” right out of Saturday Night Live. It is hellish for people who must live with bedbugs, and can't afford professional eradication like what Hilton Hotels or Mayor Bloomberg might hire. But imagine what it’s like for two billion people who live 24/7/365 with insects that definitely are responsible for disease: malarial mosquitoes. Malaria infects over 300 million people annually. For weeks or months on end, it renders them unable to work, attend school or care for their families – and far more susceptible to death from tuberculosis, dysentery, HIV/AIDS, malnutrition and other diseases that still stalk their impoverished lands. This vicious disease causes low birth weights in babies and leaves millions permanently brain-damaged. It kills over a million annually, most of them children and mothers, the vast majority of them in Africa. It drains families’ meager savings, and magnifies and perpetuates the region’s endemic poverty. Emotional distress? Imagine the stress that comes from having no escape from destitution and disease; having to support a child with a perpetual ten-year-old’s mental functions; burying your baby, wife or sibling; or wondering whether you can walk twenty miles to a clinic, before the child you are carrying dies, and whether the clinic will have (non-counterfeit) medicine to cure her. Frustration over absurd bedbug “solutions”? Imagine the reaction Africans must have to “malaria no more” campaigns that claim they will (eventually) eradicate the disease solely with insecticide-treated bed nets, drugs, “capacity building,” education and (maybe someday) mosquitoes genetically engineered not to carry malaria parasites. As to insecticide spraying, and especially DDT – fuggetaboutit. DDT is the most powerful, effective, long-lasting mosquito repellant ever invented. Spraying the eaves and inside walls of mud huts and cinderblock homes every six months keeps 80% of the flying killers from entering. It irritates most that do enter, so they leave without biting, and kills any that land. However, many aid agencies refuse to encourage, endorse or fund spraying. Many don’t even want to monitor mosquito and malaria outbreaks, or determine actual success in reducing disease and death rates. That would be more difficult and expensive than counting the number of bed nets distributed, and underscore the embarrassing reality that their “comprehensive” (and politically correct) insecticide-free programs achieve only 20-40% reductions in morbidity and mortality. By contrast, as South Africa and other countries have demonstrated, adding insecticides and DDT can bring 95% success. We would never consider 20-40% fewer deaths a “success” for American children. Why should Africa? Since EPA banned DDT in 1972 – after the United States and Europe had eradicated malaria – billions have been stricken by the vicious diseases, and tens of millions have died. That is intolerable. We need adult supervision and informed debate on pesticide policies, laws and regulations. We can no longer leave those decisions to unaccountable anti-chemical activists in pressure groups and government agencies. These zealots are making decisions that determine the quality of life for millions of Americans, especially poor families – and life itself for billions of malaria-threatened people worldwide. If not for the economic and mental health of Americans afflicted by bedbugs – support responsible, ethical policies for Africa’s sick, brain-damaged, and dying parents and children. Unfortunately, it becomes very apparent trying to stay focused on one issue with the environmental activists is impossible. They ubiquitously stick their noses into everything. As a result all of these issues overlap. While addressing our industry's concerns I have come to realize these overlapping issues also present overlapping challenges with overlapping answers requiring overlapping logic. These issues are presented in such complicated ways that it takes some time to realize that all of these challenges are presented with the same lines of logic, because the environmental cabals who present these issues use the same illogical junk science mentality; which are the same logical fallacies and intellectual dishonesty used by the rest of the Left. The patterns repeat over and over again. Climate change is much larger than most realize. Not because of the potential danger to humanity and the world from global warming. It's huge because the warming activists have thrown all their efforts into this and the science is killing them. A large number of the science sites are full of information showing that this is a naturally occurring phenomenon. Here is one such site that addresses this issue with an objective eye. These three questions by Thomas Sowell could be an excellent basis for a public debate at one of our industry’s national forums regarding IPM and Green Pest Control. At some point we must begin to realize that this just isn’t about business, pesticides and regulations. At some point we must come to grips with the fact that this is a moral issue. We are part of that thin gray line that stands in defense of the nation’s health. We are part and parcel of the public health service. We are “The Rat Catchers Child"! If we don’t take a moral position on all of this; are we not as lost as the green activists and their acolytes in government? We are the experts! We are society’s last best hope in these matters. Every so often we will get a notice that some bill or other is being promoted that will severely impact the use of pesticides. The School Environmental Protection Act is one such bill. It keeps getting introduced by Barbara Boxer or one of her co-conspirators every year or so, but these days it is always dead in the water. That demonstrates how bad this bill is. Because almost everything the activist foist on the public it starts out with….”It’s for the children”, and usually legislators just wither when they hear that. No legislative wants to vote against anything “that is for the children”. When promoting a bill they usually have what are called ‘findings’ to justify the reason for any bill to be considered and acted upon. What is the reason for SEPA (H.R. 4159, at the time) to appear once again? They claim, among other things, that “childhood cancer is continuing to increase at the alarming rate of 1 percent per year; the overall incidence of childhood cancer has increased over the past 30 years, making cancer the leading cause of childhood death from disease.” This simply isn’t true! As a member of the American Council on Science and Health (ASCH) I receive something called the Daily Dispatch which gives me a daily update on all of the science issues of our time; new and old, legitimate science and junk science. I sent the link for H.R. 4159 to Jeff Stier and others at ASCH and pointed out the so-called “scientific” justification for the bill. I don’t know that sending it to them made any impact on their actions, but I am glad that they made the effort to include this in the Daily Dispatch the following day. ACSH staffers were pleased, though not surprised, to learn that cancer rates in the U.S. continue to decline, according to a report from a group of cancer and health organizations including the National Cancer Institute. Protecting children is not a negotiable item. That is why the activists use the tact, “it’s for the children”! Whenever you hear that that phrase it’s time to stop and listen very carefully, because an emotional trigger such as that must be viewed with a doubtful eye. It doesn’t necessarily mean that they are wrong! However it can mean that they are strong on ideology and weak on facts, and in some cases it means they are lying. That is why you have to pay close attention and question everything. If they can create the impression that pesticides are causing anything harmful in the nation’s children the public will not be “reasonable” they will not “understand” and they will not listen to the lengthy explanations that many times are necessary to overcome greenie sound bites. The public will demand that something must be done before it is too late. And the activists will make any outrageous claim necessary to make their demands become reality. Which to the anti-pesticide activists means to ban something in some way or another. That is what these bills attempt to do, but in a roundabout way. Their goal is not to outright ban pesticides, but to regulate pesticides to the point that it becomes impossible to use them. They will not be “banned” on paper but that won’t matter. I often hear how DDT wasn’t banned entirely because there were emergency exemptions that would allow for its use. So what! The fact that DDT wasn’t banned on paper in its entirety doesn’t alter the fact that it was a de facto ban none the less. The end result is that activists see things as a long term goals; which is far different than what industry executives see, i.e., the next quarterly return. This gives corporate executives the false impression that they can deal with the activists. In reality the activists have incrementally baby stepped their way to where they wished to go sixty years ago. Corporate bigwigs retire and new short term thinkers take their place, but the activists goals and concepts remain. The faces might change, but it really doesn’t matter….they are ideological and philosophical clones of their predecessors. The anti-pesticide movement needs no individual or group of individuals because their philosophy is timeless. They are like a hydra growing new heads while the body remains the same. Whoever is there, in any time frame, will carry on with the same principles, philosophies and goals that were promoted by those who preceded them. It isn’t just one more issue occurring one more day. It is a crusade that will never stop and can only be defeated by absolute observance of the first rule of science. “De Omnibus Dubitandum” – Doubt everything! On August 12, the Environmental Protection Agency sent out a press release, “EPA Proposes Rules on Clean Air Act Permitting for Greenhouse Gas Emissions”. It is a frontal attack on the U.S. economy that is currently in the throes of a decline that has not been seen since the Great Depression. The Clean Air Act does not cover carbon dioxide (CO2) which the EPA deems the primary GHG. This is because poses no threat to the environment and, indeed, is a vital and essential element of the environment insofar as all vegetation from a blade of grass to a giant Sequoia tree is dependent on it for growth. 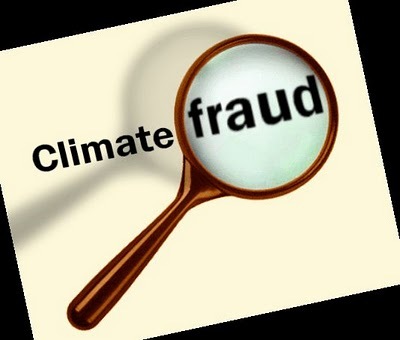 Moreover, the proposed regulation of CO2 is based on the global warming fraud that says that it is responsible for a significant warming of the planet. There is not a scintilla of proof of this and, indeed, the Earth is presently in one of its natural cycles of cooling, not warming. Thus, there is no scientific justification for the regulation of carbon dioxide no matter how many times the EPA says there is. If American industry, particularly the targeted “power plants and oil refineries”, are required to get GHG permits, it will put yet another huge sector of the nation’s economy under the thumb of the most insidious exponents of the global warming fraud, enemies of any economic growth. “The Tailoring Rule covers large industrial facilities like power plants and oil refineries that are responsible for 70 percent of the GHGs from stationary sources,” says the EPA news release. What it doesn’t say is that this power to regulate that does not exist in the present Clean Air Act. It will cause electricity costs to skyrocket along with gasoline and all other oil derivatives. It will utterly wreck the U.S. economy that is already in dire straits. If an invading nation had imposed these kinds of restrictions on Americans, we would be in the streets with guns and any other means to fight them. There is NO global warming. Carbon dioxide plays NO role in this non-event. This is regulation by deception, by lies, by the arrogance of environmentalists who view the human race as a cancer on the planet. And, naturally, they have waited until Congress has gone on recess to “propose” this attack on the nation. Take action! Contact your Representatives and Senators. Drown the White House in protests. The bed bug explosion is more related to the loss of the means to exterminate them than the bugs themselves. The bed bugs are doing what all insect populations do; they are reproducing by the billions. On August 10, the Environmental Protection Agency (EPA) issued a “consumer alert” whose sole purpose was to continue its drumbeat of fear regarding any use of pesticides and to imply that pest control professionals could not be trusted to help one rid themselves of this ubiquitous pest. All pest control professionals are subject to state licensing and annual certification to ensure they receive training in the proper methods of applying pesticides. Many firms conduct in-house training sessions year-round and the profession’s trade associations provide seminars as well. Suffice to say that everything about the provision of pest control services is highly regulated. Since its founding in 1970, the EPA has dedicated itself to banning as many pesticides as possible. Its first “victory” was the banning of DDT in 1972. The result has been upwards of 90 million deaths from malaria worldwide. The truth is that DDT saved more lives than any chemical in human history until being banned from use in the U.S. and by other nations. I have worked with the pest control industry for a quarter century and in the 1980s I helped promote an extraordinary pesticide, Ficam, a product that effectively killed a wide range of insect pests and was applied with nothing more dangerous than water! After years of safe use, the EPA told the manufacturer that it had to re-register the product. Having previously spent around $15 million for the original registration, the British-owned company did the math and concluded it would be too expensive to go through the process again. It is no longer available in America. The EPA’s action had nothing to do with the efficacy of the pesticide. It had everything to do with its unspoken policy of driving pesticides off the marketplace, whether for use by pest control professionals, for agricultural use, or by the general public. And that is why America is experiencing a bed bug epidemic. According to a joint statement on bed bug control from the Centers for Disease Control and Prevention (CDC) and the EPA, “Though the exact cause is not known, experts suspect the resurgence is associated with increased resistance of bed bugs to available pesticides…” and other causes such as greater international and domestic travel. One pretty good guess at the “exact cause” is the continued loss of pesticides with which to knock down insect and rodent populations that nature provides in the billions. The EPA and countless “environmental” organizations have effectively “educated” Americans to be afraid of chemicals in general and pesticides in particular. The claim is that they pose a threat to people’s health and this is true if one drinks them direct from the container. All poisons are based on the “dose”, the amount of exposure and, in the hands of a pest management professional, that factor will be very-low-to-none. Today’s pest management professionals go about their job using the principles of Integrated Pest Management. High on the list is the least use of pesticides to knock down a pest population. Ask yourself why, a hundred years before the invention and widespread use of pesticides, was an American’s average life span was about forty years of age? Given the use of pesticides, why do we now live up to eighty years? The answer is that pesticides protect lives and property too. There is no real logic behind the EPA’s continued efforts to ban pesticides, but there is an illogical, unreasoned, and a lot of very dubious “science” behind the relentless effort to deprive Americans of the protection pesticides provide. As I frequently remind people, take away the pesticides and all you have left is pests. In the case of bed bugs, you have a particular pest that is very difficult to eliminate without a lot of intensive effort and the need to return to the scene of the infestation to get at those bed bugs that were hidden away between blood meals and will survive, become active, and lay eggs that become nymphs in a new generation to be exterminated. The advice offered is laughable. It recommends using “monitoring devices” when most people learn about a bed bug infestation when they get bitten! The statement recommends “removing clutter where bed bugs can hide”, “vacuuming”, and “using non-chemical pesticides (such as diatomaceous earth” and, finally, “judicious use of effective chemical pesticides” as the last choice. The message is that it is the pesticides that are the problem, not the bed bugs. The reason we have seen a bed bug explosion is that the EPA has eliminated many of the pesticides that were formerly in use, creating the perfect storm, a growing resistance to those still registered for use. The bed bugs don’t care that a generation or two of Americans have been brainwashed to think pesticides are bad, but you should. Recently, there was a naming bill introduced into the Ohio Senate to officially name a month of the year the “Multiple Chemical Sensitivity Syndrome Awareness Month.” Fortunately through some legislative legerdemain that I don’t understand, this bill was put on hold. However, as I understand it was done in such a way that may allow for it to come up again. As a result, I think it worthwhile to explore the whole concept of Multiple Chemical Sensitivity Syndrome (MCS). • Another woman tried living in a six-by-nine-foot porcelain hut, but now just spends almost all her time on her porch, no matter how cold it gets. • Yet another wears a protective mask while shopping but still develops breathlessness, palpitations, and vomiting when she smells gasoline fumes. sneezing, itching, twitching, numbness, difficulty swallowing, hoarseness, earache, chest pain, easy bruising, high or low blood pressure, sore muscles, cramps, eczema, heavy eyes, blurred vision, dyslexia, frequent urination, genital itching, PMS, backache, nausea, belching, constipation, hunger, thirst, headaches, apathy, forgetfulness, insomnia, IQ drop, depression, bitter or sweet slime in mouth, heat sensitivity, cold sensitivity, stiffness, swelling, neck pain, anxiety attacks, agitation, liver pain, hair loss, premature gray hair, brain fog, and genital sweating. The paper went on to say, “Unfortunately this is not a complete list of symptoms.” If you haven’t suffered at least a dozen of the listed symptoms in the past year, you’re probably an android. Apparently, there is no limit to the number of symptoms. If the number of symptoms are unlimited; what about the causes? The sky is the limit for causes also! Virtually anything and everything is claimed to be sources of causation. This is an incurable affliction because it cannot be defined by the treatment. Let me explain. If I claim to have a sore throat and the doctor gives me an antibiotic, and the antibiotic works, then I had a sore throat. And the “cure” proves it is a sore throat because it works. “MCS is not considered a curable disease, and the treatments are as diverse as the symptoms and causes.” Those who claim to have MCS are probably more afflicted by the cures than the symptoms. There are about 400 believing practitioners providing services…unending services…to those who claim to be afflicted with this ailment. What do they do? • One Maryland physician “prescribes a combination of the drugs phentermine and fenfluramine for MCS, which are actually weight loss drugs in the amphetamine family. • This is the one I find most fascinating! “A Sacramento-area specialist treats many of his patients with injections of ‘the north wind.’ He bubbles air through water, then injects the water as a ‘neutralizer.’ Why the north wind? Because many of his patients complain they feel worse when the wind blows from that direction. Does this give the impression of “witch doctoring,” versus real doctoring? Impossible to prove, yes, but also impossible to disprove. However, the most commonly used test for MCS is something called provocation-neutralization. When this test was subjected to real science in a double blind study it was found that “the subjects reported the same number of symptoms whether they received test agents or saline solution.” As one former believer in MCS, and a designer of the study noted; MCS “is not science. So what is the problem with just having a naming bill? The American Medical Association (AMA) does not recognize this as a disease. In short the AMA believes that it doesn’t exist! But when the state decides that it wants to make society “aware” of this affliction; they are in point of fact saying it exists. If the state says it exists then it exists, science or lack there-in notwithstanding. So then if it exists, there must be a cause. If there is a cause, then the cause must be addressed. This really is the slippery slope that would ultimately be used by the activists to attempt to ban a host of things; especially pesticides. This bill could have become a nightmare for Ohio’s industry and economy as a whole. It is unusual for a bill to be set aside in some fashion once it has hit the legislative floor. Fortunately the board of directors Ohio Applicator for Responsible Regulations (OPARR) became aware of the introduction of this bill and along with members of the OPMA board acted on this information. We can thank all those involved for their commitment and activism in behalf of our industry. We also need to recognize just how important OPARR is to our association and all of the application industries. NEW SYNDROME? OR MORE SILLINESS?